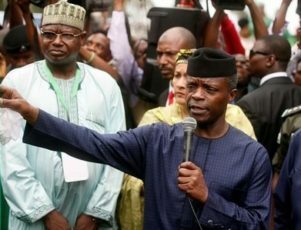 recession Archives - Africa M.E. JOHANNESBURG (Reuters) – South Africa’s central bank could resume its rate hiking cycle despite a poor growth outlook, its head said on Friday, while its treasury reined in state companies to avoid ratings downgrades and a long economic slowdown. Africa’s most industrialised country is on the brink of its first recession after contracting 1.2 percent in the first quarter as key sectors shrunk due to severe drought and falling commodity prices. Governor Lesetja Kganyago said the central bank’s monetary policy committee (MPC) would raise rates if inflation, fuelled in part by a weaker rand, remained elevated. The rand has weakened nearly 20 percent against the dollar in past 12 months as looming rate hikes in the United States, the threat of a downgrades to “junk” status and diminished business and consumer activity locally weighed on its value. 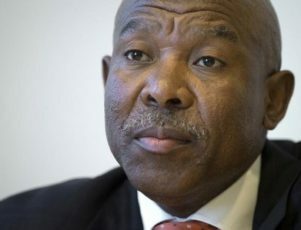 “Although the MPC remains ready to respond to renewed inflation pressures, it remains mindful of the weak state of the economy,” Kganyago said. Headline inflation has been higher than the Reserve Bank’s (SARB) upper target of 6 percent since January, prompting it to lift lending rates by 200 basis points from early 2014 despite poor growth. The bank sees growth averaging zero percent in 2016. “The rand exchange rate has been sensitive to these developments, with elevated levels of volatility,” said Kganyago said, adding the next round of rating reviews in December were key. South Africa is also in a fiscal bind, with government’s plan to boost growth to an annual 4 percent to tame widespread unemployment, poverty and the growing cost of borrowing facing a number of obstacles. Finance Minister Pravin Gordhan on Friday warned state firms that they would have to live without state bailouts of around $35 billion as treasury focused on achieving the deep spending cuts it promised in the February budget. “The key concern that ratings agencies and others would have is that as a result of levels of mismanagement, those guarantees shouldn’t be called out at any stage,” he said. On Monday, Fitch announced it had downgraded South Africa’s local currency debt. Fitch and S&P Global Ratings now both have South Africa’s local and foreign currency debt ratings a step away from subinvestment. Maya Senussi of Roubini Global Economics said local government elections on Aug. 3, where the ruling African National Congress is expected to face a stern test, could worsen the dilemma for government before the general election in 2019. “The big danger is that fears about the 2019 general election will prompt populist measures from the ANC, exerting more pressure on the stretched Treasury and further delaying much-needed reforms,” the economist said. JOHANNESBURG (Reuters) – South Africa’s manufacturing output resumed its decline and mining production contracted as weak global demand pushed the country’s ailing economy closer to a recession. Manufacturing production shrank 2 percent in March and mining output plunged by 18 percent – the most on record – figures from Statistics South Africa showed on Thursday. “The economy is very weak, and with these set of figures, we’re looking at the possibility of a contraction in the first quarter,” said Dennis Dykes, the chief economist at Nedbank. South Africa’s economy grew 1.3 percent last year and 0.6 percent in the fourth quarter, and in its February budget, the National Treasury lowered its forecast for 2016 to 0.9 percent from 1.7 percent. The International Monetary Fund has cut its outlook for 2016 to 0.6 percent. All three major ratings agencies have cited weak growth and policy upheavals as major risks to South Africa’s investment-grade rating. Last Friday, Moody’s maintained the country’s Baa2 rating but with a negative outlook. Fitch and Standard & Poor’s rate the country’s debt just one notch above sub-investment grade and are due to revisit the ratings in June. “You go back to brass tacks and ask if government is sending the right signals when it comes to a stable policy environment. But you look at sectors like mining and agriculture and the policy environment there is terrible,” Dykes said. Last year, South Africa recorded its lowest annual rainfall since comprehensive records began in 1904, as an El Nino-driven drought ripped through the region, putting millions at risk of food shortages. The government and mining companies have been deadlocked for years over proposed changes to the Mining Charter that will require the companies to keep black ownership at 26 percent. 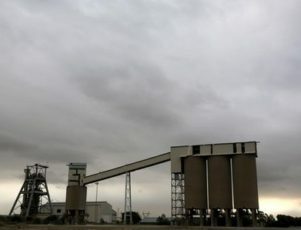 South Africa, one of the world’s biggest metals producers, has been hit by a slide in commodities prices that has come on top of widespread labour unrest among miners. 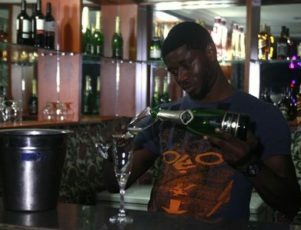 Moolman said an increased focus on tourism, which has already benefited from a weaker currency, and upping the export financial and business services would help lift the economy.